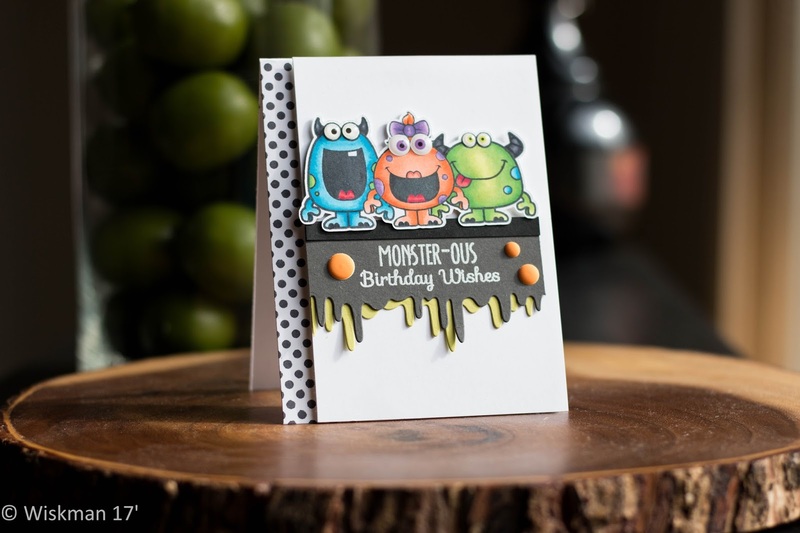 Koren Wiskman : YNS Silly Monster Birthday Card and My Husband Does My Voiceover! YNS Silly Monster Birthday Card and My Husband Does My Voiceover! Hello fellow card makers. Today not only am I sharing with you my latest card but I am also allowing my husband to do the voiceover for my YouTube video for this card. He is such a good sport. I hope you enjoy both the card and the commentary. Unfortunately I forgot to turn on the camera when I began adhering my pieces together. Rookie mistake! To make up for the lost footage I created a Copic Color Map and I attached a photo sharing the dimension of the card. 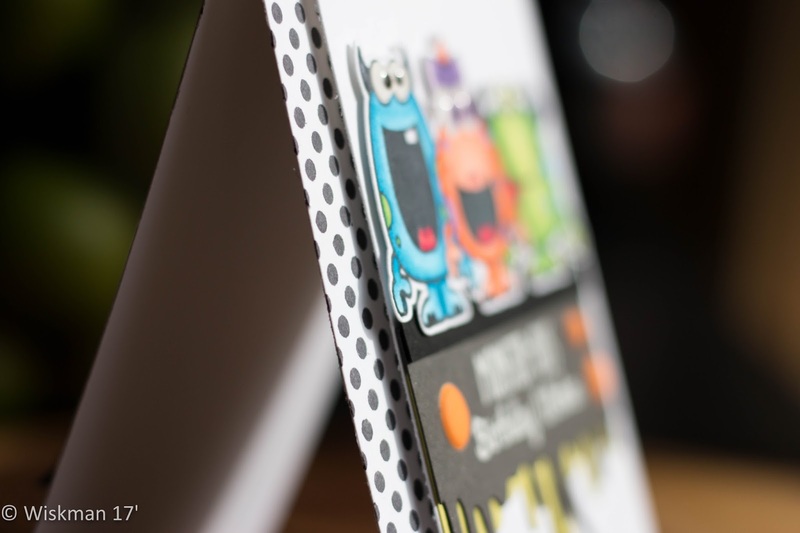 I used a piece of craft foam on the front panel and popped up the silly monsters with foam tape. 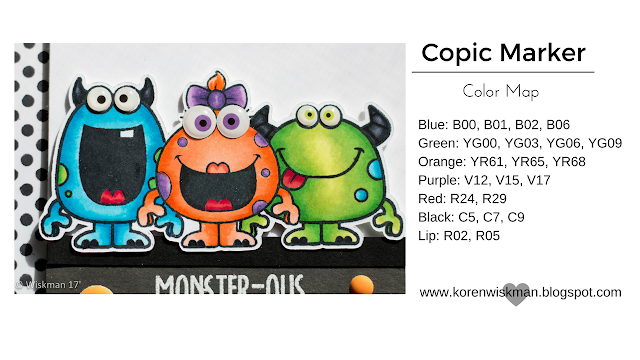 Below are photos of my card, the Copic color map I created, a link to my YouTube video, and a full list of supplies.